Daily budget plan will illustrate to save more and spend less expenses. A daily budget plan is a guide for us to save more money while spend less on unnecessary expenses. Remember, our main objective is to attain wealth. Wealth for us means passive income. We can earn while doing nothing. Before going to the happiest part of doing nothing but can earn much, we need to work diligently in saving money. 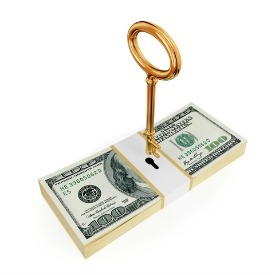 The money saved is allotted for a business or investment that can earn passive income. How can we save money if our income is not sufficient? The income is not sufficient? Maybe, the expenses were mismanaged? One of the main reasons on why people find a hard time in saving money is because of having no plan at all. Examine your expenses in the previous months. For sure, there were unnecessary expenses. Usually, an unnecessary expense was allotted in luxurious recreation. It is acceptable to have fun but in the right time. Work on a certain budget for a much simpler recreation activity. It may end-up into debt if we tend to go beyond our means. Work on a certain budget on a daily basis. List down everything you need to spend from Monday to Sunday. Include miscellaneous and emergencies. The good thing about being prepared for such activities is we don’t get rattled on where to get the fund if the event arises. Prioritize the budget. Spend only for the needs. The wants will be under deliberation. At the end of the week and if we have extra from the week’s budget, maybe we can allot it for recreation or wants. It will be a good thing if the extra money is placed into a savings fund to accelerate the success. Remember, income less savings and the remainder are for expenses. Allot at least 20% of the income for savings. Eventually, increase the percentage of savings. Still, maintain a reasonable lifestyle. A daily budget plan will guide us every day in making decision about spending. The system maybe tough at the beginning and it is normal. As you get used to it, we will become wealthy. If you already had a daily budget plan and it was not enough for the chosen lifestyle then the answer is to increase the income stream. Look and find for income opportunities. Whether the daily plan is enough or not, find ways to increase the income stream. Still, maintain a reasonable lifestyle while the income increases. Nothing will happen if the income increases and the lifestyle also increase. There’s so much beauty in simplicity. Return from Daily Budget Plan to Yearly Budget Plan. I promise to use it only to send you Financial Freedom Ideas.